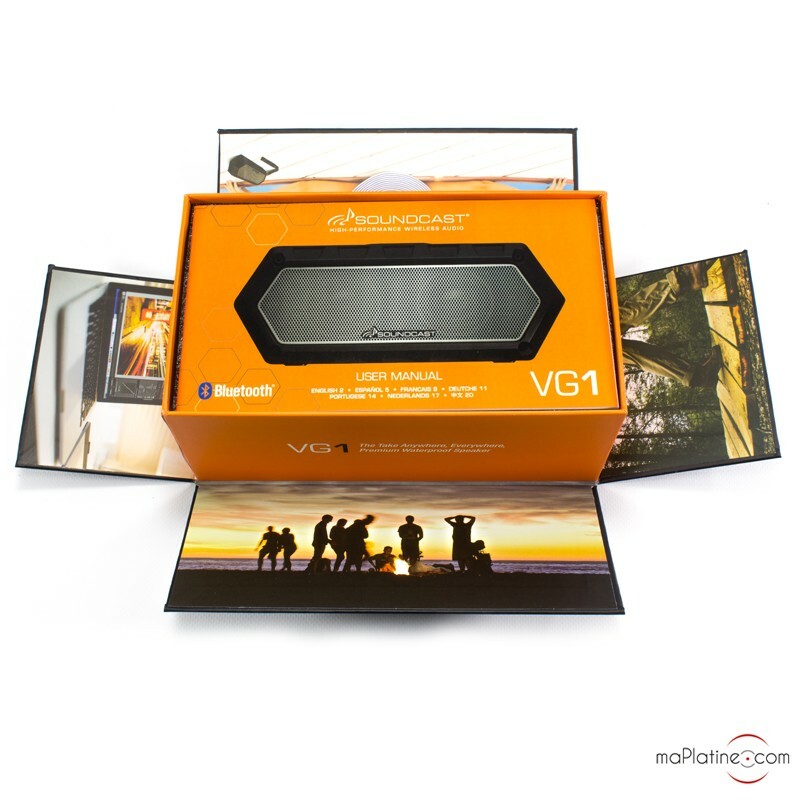 The Soundcast VG1 Bluetooth portable speaker is the first of the “VG” range manufactured by the American company. 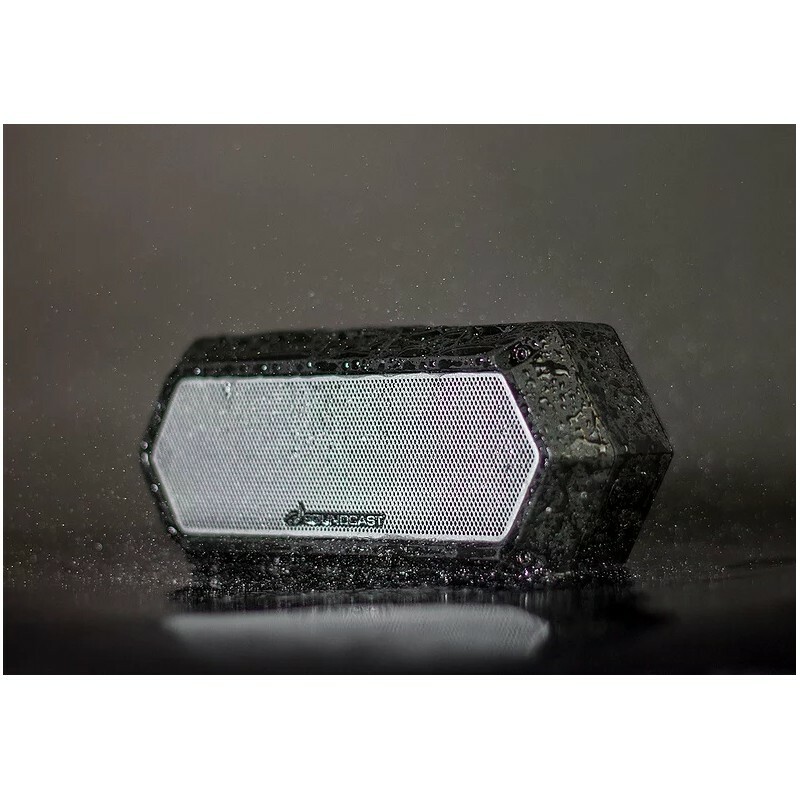 This waterproof Bluetooth speaker is very compact (173x59x74mm) and weighs less than 500g. Dual aluminium and a weighted passive bass radiator oriented towards the back give it a clear and rich sound with a good response in the lows. 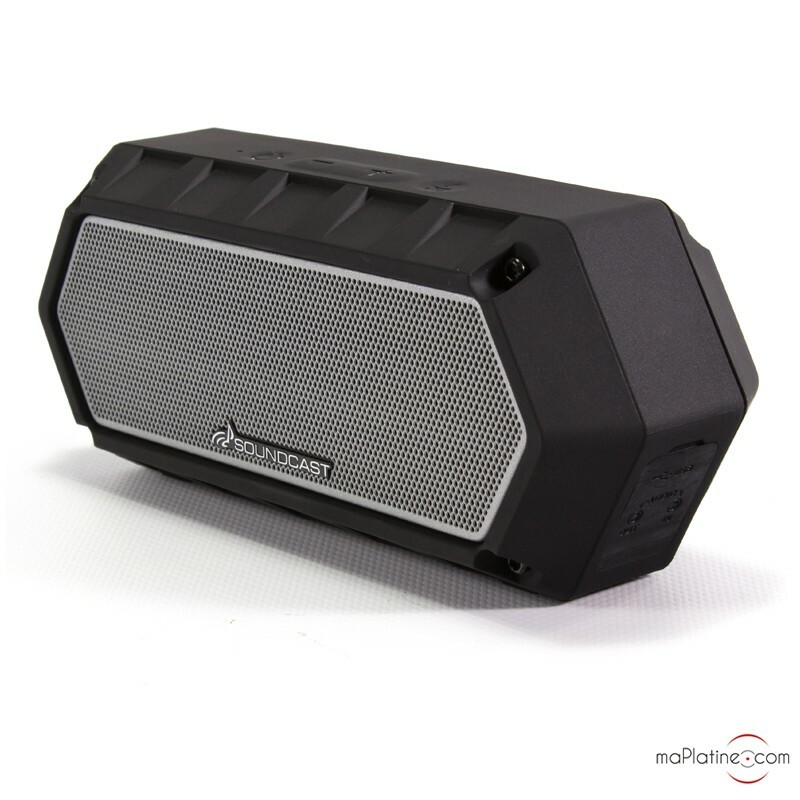 The Soundcast VG1 Bluetooth portable speaker projects the sound in all directions. 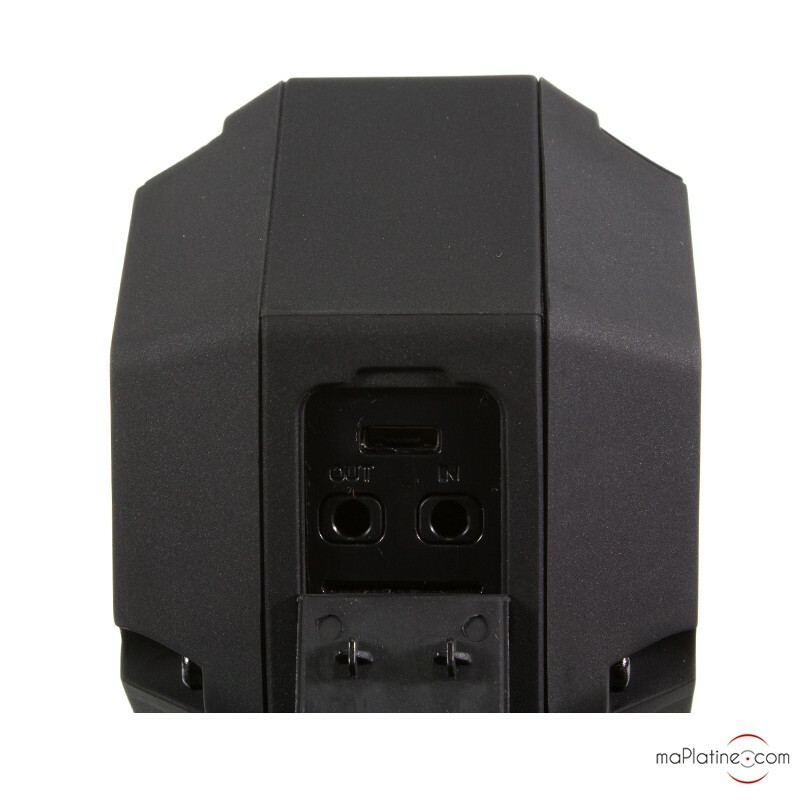 There is a USB input in order to charge the device, a mini 3.5 mm jack auxiliary audio input, as well as a mini 3.5 mm jack auxiliary audio output. 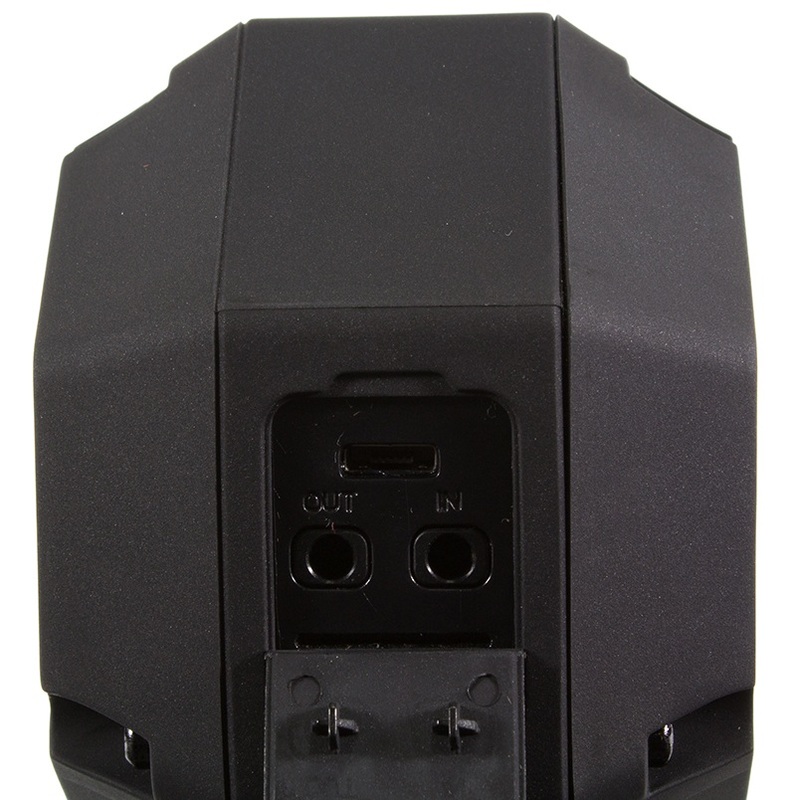 This makes it possible to connect the Soundcast VG1 to another device (amplifier, amplified speaker etc). 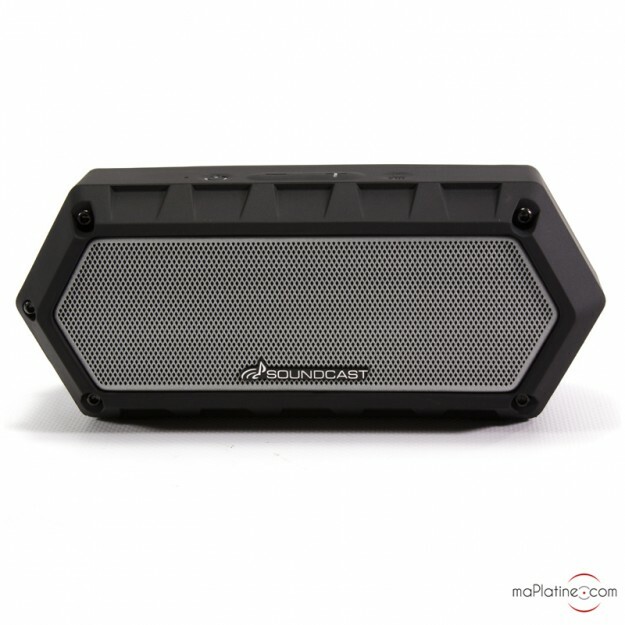 The Soundcast VG1 Bluetooth portable speaker uses the 4.2 version of the Bluetooth and the Bluetooth A2DP, AVRCP, HPF, HSP transmission protocols. 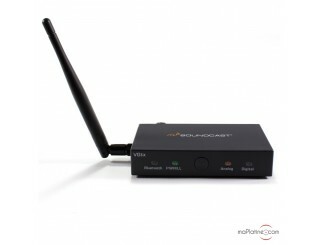 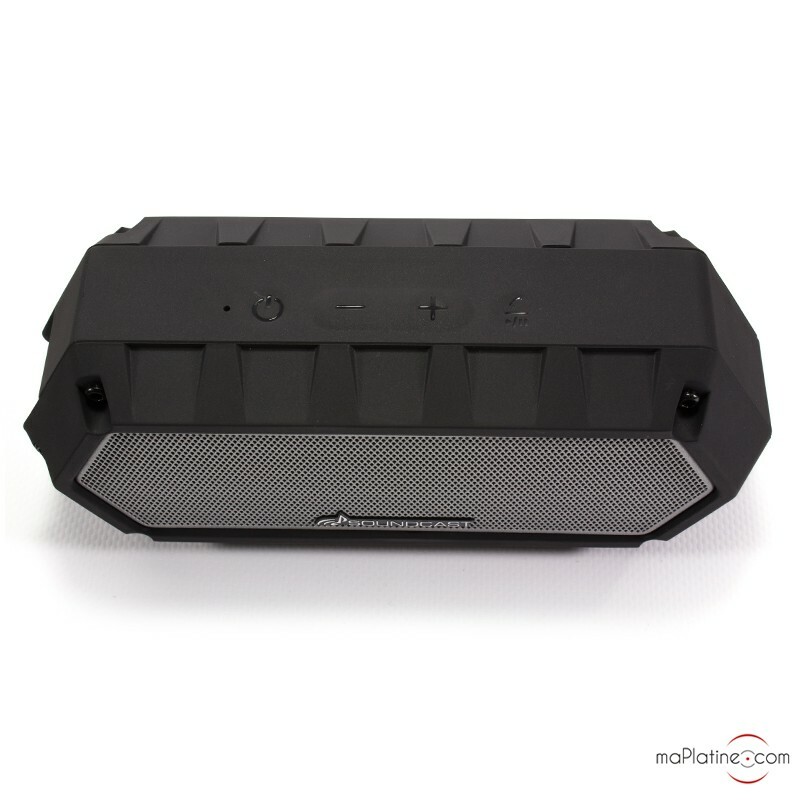 It also disposes of high definition AAC and AptX Bluetooth transmission codecs which make it possible to listen to music in high definition. The Soundcast VG1 Bluetooth portable speaker is equipped with the Qualcomm® TrueWireless™ Stereo which makes it possible to connect two Soundcast speakers together, thus creating a stereo system. 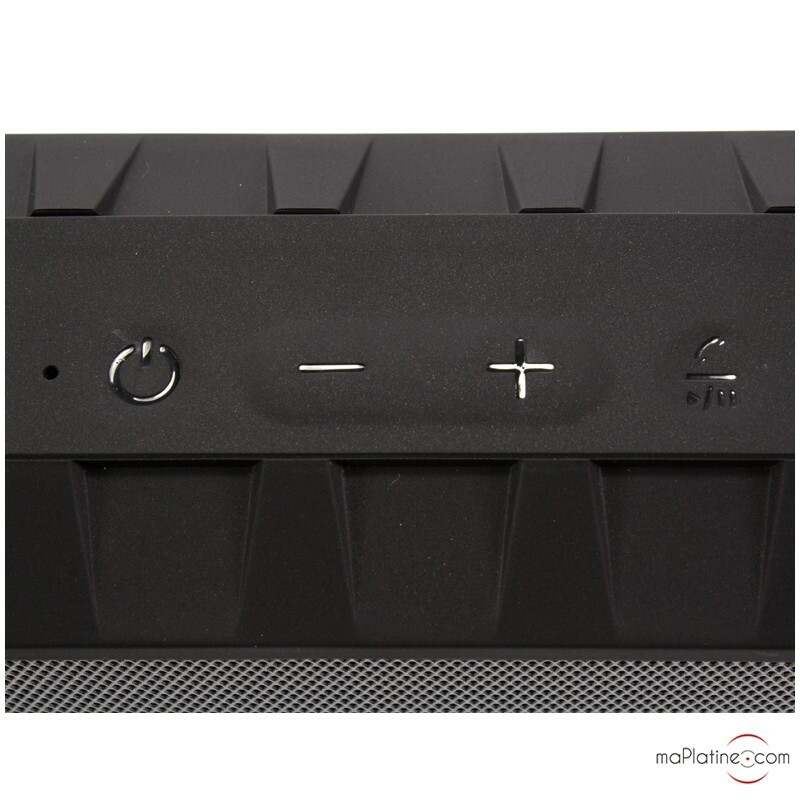 The following buttons are present on top of the speaker: on/off, volume +/-, play/pause/phone. No application is required to control this Soundcast VG1 Bluetooth portable speaker from your phone. 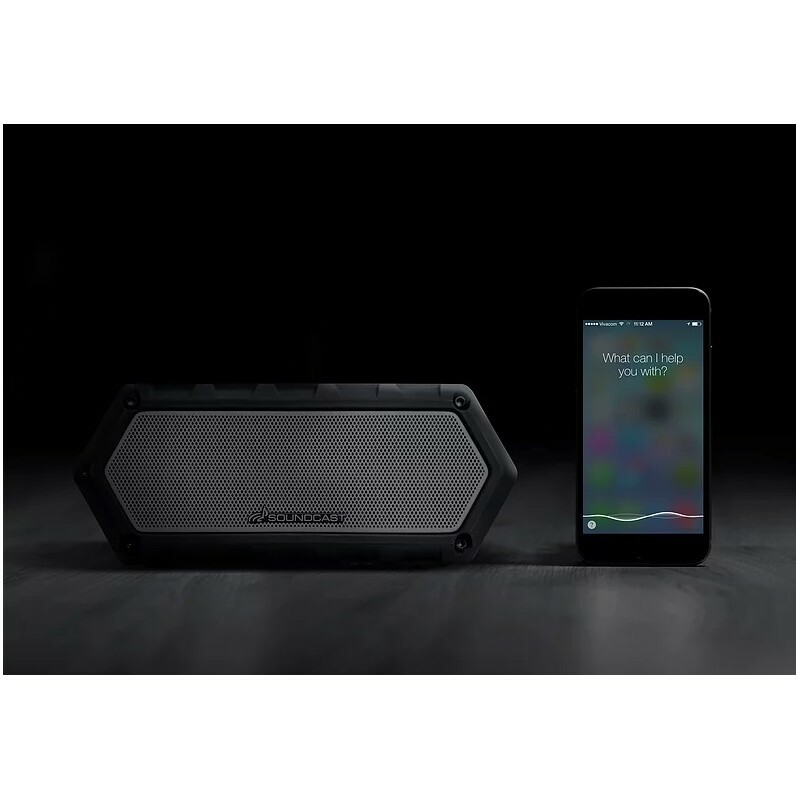 If you are using an iPhone, you can control the speaker using Siri. 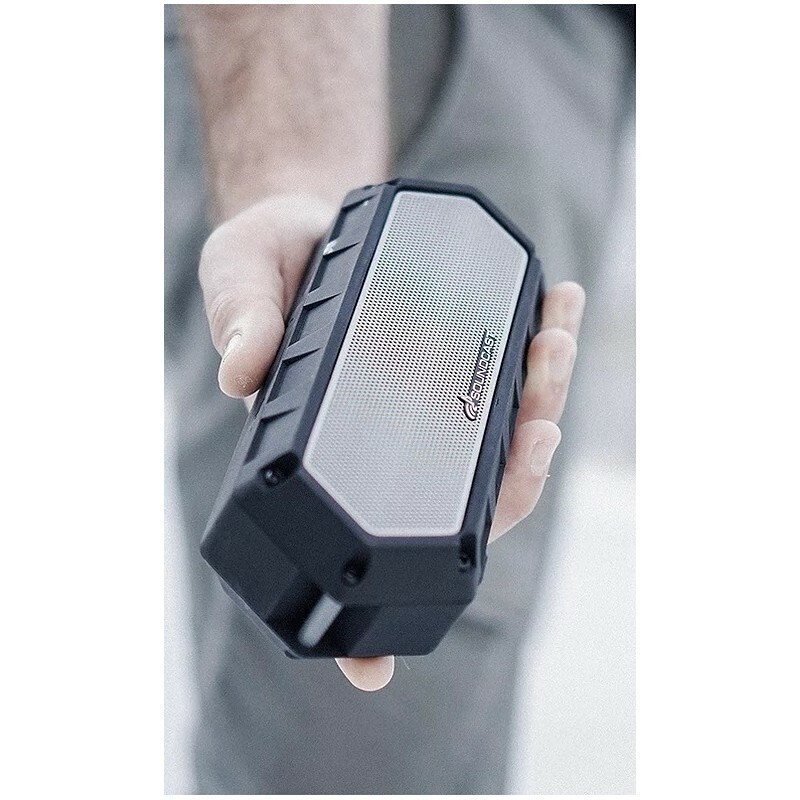 To charge the Soundcast VG1 Bluetooth portable speaker, simply connect it to your computer or use an AC adapter or USB adapter (5VDC 1A). 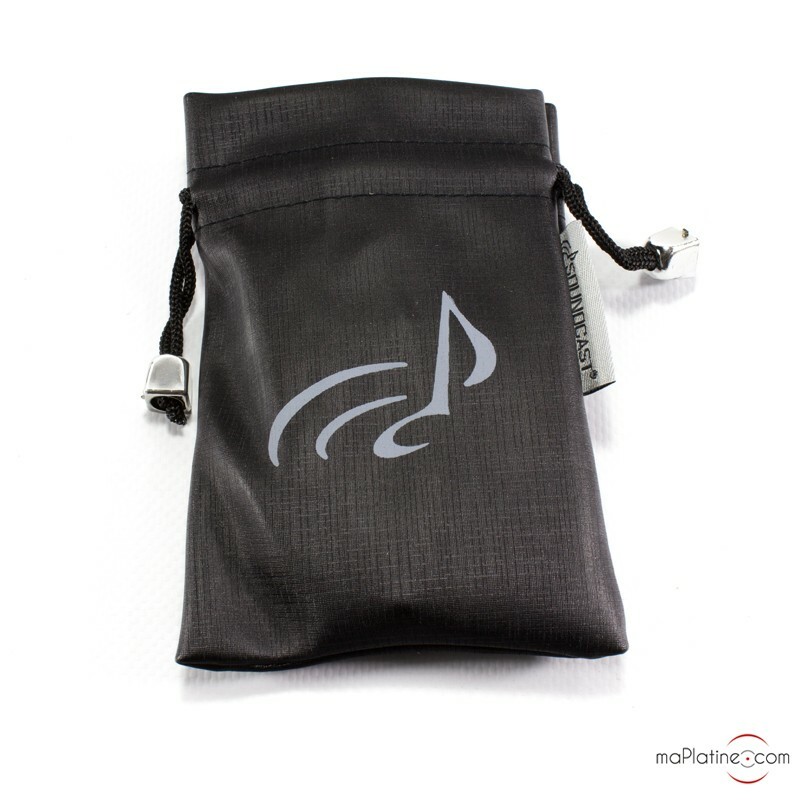 These adapters do not come with the speaker. 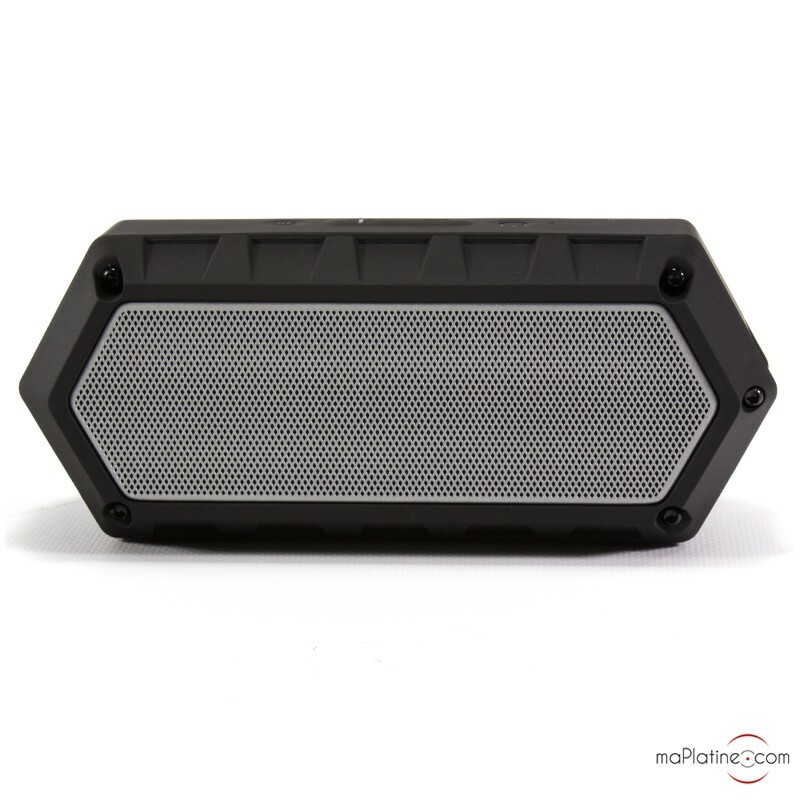 Whether it is in the bathroom or outside, you can use this amplified speaker anywhere you go.